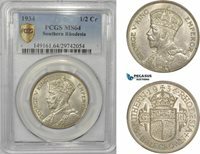 Southern Rhodesia 2 Shillings 1939 PCGS XF45 British Colony George VI Key Date! British Rhodesia, 1937 George VI Threepence, 3 Pence. 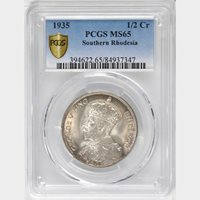 PCGS MS - 64. 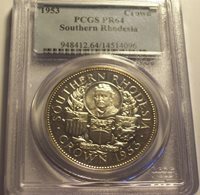 South Rhodesia 1937 2 Shilling Rare PCGS 64+, Sharp Detail, Luster, Original.